The Bard just shows up in my stories. I can’t stop him. He’s persistent like that. All those teen years of re-reading the plays sealed the first set of words in my head: Romeo and Juliet, Julius Caesar, Macbeth, and Hamlet. (Thank you, Ravenscroft High School, for giving me Angela Connor, teacher extraordinaire, and a play every year to capture my heart.) Getting the chills as I tried to speak Shakespearean, I couldn’t believe at age 14 anyone could pen words so beautiful, so lively, so incandescent. Serving as an English teacher for over thirteen years was the second seal upon my heart: you can’t teach well if you don’t read along with your students. So the Bard’s pages got marked up yet again, highlighted with not only my impressions but tons of teaching ideas. So whenever I’m writing short stories, the Bard’s words play along like a soundtrack in my head. In my short story “The Flat and Weightless Tang-Filled Future,” Ronalda is an unhappy small-town woman trapped in a complicated suburban life she can’t comprehend. It’s 1976, and when chatting with her neighbor, Diane, who quotes Shakespeare, Ronalda remembers the time her husband dragged her to see the 1968 Zeffirelli film, Romeo and Juliet. Ronalda doesn’t comprehend Diane’s love of books and words. “What’s that?” Ronalda sits Bradford in the high chair and rifles through the cupboard. “He must have meant the Prince,” Diane says. “He’s the one who said, ‘All are punnashed.” She looks dreamy, like she might take off with those long legs, shoot into the sky like a Hollywood starlet, an Esther Williams riding fountains. “Funny how they talk,” Ronalda says. “How do you keep it straight? And who has the time?” She wrestles with the lid. By the time this story of Ronalda’s day ends, one might say that all are punished. In my debut novel, How Wendy Redbird Dancing Survived the Dark Ages of Nought, Twelfth Night and The Merchant of Venice show up. Sixteen-year-old Wendy has just been yanked out of a California life where she had the lead in Twelfth Night alongside her best friend, and Wendy might never forgive her mother for this sudden move to North Carolina. There’s a ray of hope when she makes the acquaintance of two students in her English class, Andrew and Tanay, finding that she and Andrew can connect over the Bard. He’s returning her Walkman to her, one that a Mean Girl just tried to steal, and sees the cassette inside it. I shrug. It is none of his business, my retro philosophy of purity, simplicity, and innocence that was the 1980s. I look over my shoulder. Tanay’s face says she’s not too fond of this exchange. By the end of the novel, race and revenge have played out their strange and horrible consequences in what I hope are redemptive ways. how express and admirable! In action how like an Angel! Happy birthday, William. It’s been 397 years of beauteous words, illuminating wisdom, uproarious comedy and heart-rending tragedy, and transcendent rhythms. When you passed in 1616, you could have no idea how long you would live for us. Have you re-read a line from a favorite book or poem lately? Go find it, read it, and hear your voice saying it aloud. If you like Shakespeare, let his words fall trippingly off your tongue. Have you ever said, “Fair play,” or “foul play”? How about “good riddance” or “fight fire with fire”? Thank Shakespeare for coining these and any other eloquent phrases that are everyday idioms now. Try one of these phrases to start a poem, story, or essay. Pick up a play or movie that has something to do with Shakespeare. 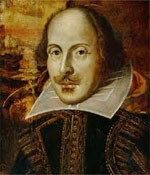 Check out PBS’ great series, Shakespeare Uncovered. Write something in response to what you read or see. Copy ten lines of Shakespeare and home in on a few words or phrases. What are all the possibilities in those words when you think about performing them? What ambiguities does Shakespeare leave available for us and actors to fill in the gaps? What does he teach about human nature that inspires your own good thoughts and perhaps writing, too? Head to HappyBirthdayShakespeare.com and enjoy the tributes. Doris makes teaching look so easy, doesn’t she? Those of you who follow my blog know I write YA fiction, but you may not also know that I’m a former high school and middle school teacher (15 years), an online instructor, and a teacher trainer. That my other consuming passion is writing lessons for teachers and talking shop with them. I’ve authored, co-authored, or contributed to four different works on the art of lesson design. That’s right, I said “art.” And let me mix metaphors, in a major way, right now: The art of lesson design is rocket science. An excellent unit of instruction is hard to launch, you have a million variables to consider, and everyone is watching you fail. But let me reel myself in here: this post is not a rant against those who have done seat time in a classroom, apparently suffered, and then look down their noses the rest of their lives at the teaching profession. 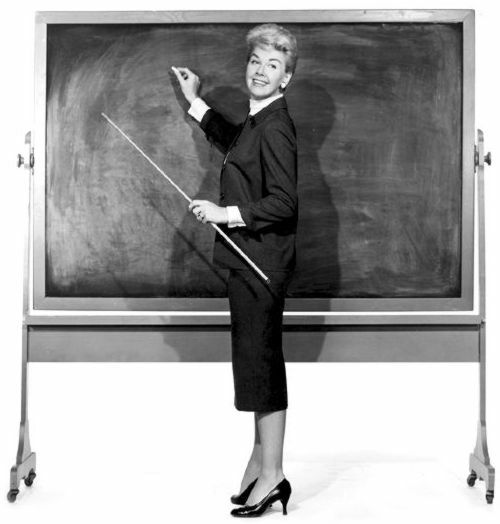 If you are not a teacher, I imagine at least a few of the adjectives I used sailed over your head. Ed jargon, some call it. And that’s how it should be. A profession worth respecting has a vocabulary–not unlike nanotechnology and neuroscience–cultivated from years of research, experience, and experimentation. As I work with teachers headed into a new school year, I consider the vast array of knowledge, processes, and new mandates our educators have to juggle when designing lessons, and something in me craves a formula, a distillation of all the complexity in order for our teacher-soldiers to march onward. So for those of you surrounded by notes, texts, computer, and other resources to plan those units of instruction, I’ve created a formula for lesson planning. It is not perfectly comprehensive or suited to every teacher’s learning style. For example, some of the sequence may not follow the way your brain thinks, but try to take each step as a crucial task and determine how you can approach each one thoroughly. Select a complex text with colleagues. Identify concepts, or Big Ideas. Create Essential Questions, global and local, to be used in every assignment. Select 10 scenes or chapters of the complex text. Identify CCSS goals and subskills, finding at least three readiness levels (ELL or novice, on-target/grade level, and advanced/gifted). Identify “how to read” skills, strategies for independent reading. Develop assessments, formative and summative, with rubrics. This may seem like a quick and simple formula to outsiders, but there’s lots of knowledge and expectations and standards buried in these. I could do a full-day workshop on each step–and we could spend a whole year perfecting the art of each step in our classrooms. For those of you who don’t teach, please take a moment to take in these steps and appreciate the hard work teachers do to prep one three-week unit of study. For those of you who do teach, you do so much with so little time and resources, and I applaud you. Enjoy this adventure of launching great ideas, thinking, and explorations with our students this year. Stay tuned for future blogs with writing prompts for you and your students at the end of each post. And check out the last 4 years of posts; there’s probably a concept, a whole set of journal prompts, that might suit a unit you’re teaching now. We’re hardwired to tell stories. We are born to interpret, to weave and spin yarns, and fill in the gaps. Even if these gaps aren’t factual, we’ll build bridges that soar over the chasms. We require story in order to make memories. Check out cognitive scientist Michael Gazzaniga’s explanation of how our brains work this way. In Daniel Pink’s book A Whole New Mind, he argues that jobs of the future will require more storytellers and narrative designers. Good thing our kids love telling stories, and so do we. I’m always exploring ideas of how we can teach better storytelling while teaching literary analysis. How can we boost and hone our ability and our students’ ability to tell a great story and spot a stellar one? Here’s a two-day lesson plan. E. M. Forster has written: ‘The king died and then the queen died is a story. The king died and the queen died of grief is a plot. The queen died and no one knew why until they discovered it was of grief is a mystery, a form capable of high development.’ To that I would add: the queen died and everyone thought it was of grief until they discovered the puncture wound in her throat. That is a murder mystery and, in my view, it too is capable of high development. Show students the DIRECTV commercials, which are hilarious cause-and-effect sequences that lean toward the ridiculous but have enough plausibility that we pay attention. After you watch these with students, ask: which are the best connections? Which are the most far-fetched? Why do we follow the far-fetched? What do you prefer, realism or fantastical creativity in your plot connections? Why? Give the students a list of disconnected actions on separate cards: the baby cried; the phone rang; the tub overflowed; the man screamed; the swimmer dove; the woman danced; the dog surfed. Students can work in pairs to connect these two actions in a paragraph of 50 words or less The story needs to make sense and entertain. Students can work in pairs or triads to practice making connections. If partners have similar cards, it will be fun to see how different partnerships connect the same dots in very different ways. Assignment: take two dots and connect them according to one of the above formulas. The story should be as long as a Three-Minute Fiction piece. 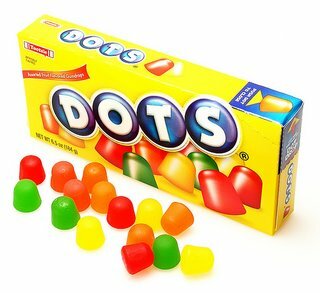 The reward for the best stories can be measured in Dots candy. There are a gazillion more creative writing assignment ideas where this idea came from, but if you’re interested in more lessons of this sort connected to classics like Shakespeare or other literature, you can check out Teaching Julius Caesar (NCTE), Teaching Romeo and Juliet (NCTE, co-authored with Delia DeCourcy and Robin Follet), The Compassionate Classroom: Lessons That Nurture Wisdom and Empathy (Chicago Review Press, co-authored with Jane Dalton), or the Macbeth and Civil War units in the ASCD book Differentiation in Practice: A Resource Guide for Differentiating Curriculum, Grades 9-12. This blog offers writing prompts each month, ones for teachers and students. I also include several journal prompts in my three books, The Compassionate Classroom (with Jane Dalton); Teaching Romeo and Juliet (with Delia DeCourcy and Robin Follet); and Teaching Julius Caesar. I provide these because teachers need and request them. I’ve always assumed we know why writing prompts are worth the time, but that’s not always true. It’s good to revisit why they matter in the classroom. Still ringing in my ears is the only parent complaint I’ve ever heard on the subject. “What’s this touchy-feely stuff? What’s this got to do with academics?” While I did convince this parent I wasn’t wasting his child’s time, the complaint gets to a misinformed opinion–that writing prompts are a flights-of-fancy indulgence we can’t make time for. I figure it may also help teachers to have this argument in their back pocket should parents, administrators, or pacing guides approach. — Writing prompts are great dress rehearsals for deeper thinking, the critical analysis required by most literary interpretation, argumentation, and research. — Writing prompts tap into what I call the Big Ideas–the concepts and abstract topics that need fleshing out in an essay. In the low-stakes dress rehearsal area that is a journal, students can discover what they think as they see what they writeSo Romeo and Juliet is about the Big Idea of Love; that claim is no thesis statement yet. Do you believe in true love? Love at first sight? Platonic love where there’s once been lust? What is more important–the love of family or romantic partners? It’s these interesting questions that come from journaling on a Big Idea. — Writing prompts tap into metacognition, sparking reflection about the writing process. They allow students to mull over the complex stages of thinking that lead to a finished draft and develop a perspective on their own writing strengths, weaknesses, and methods. — Writing prompts allow creative forays into personal, imaginative writing such as short stories, novels, poetry, even lists–every genre and type–that again, serve as great dress rehearsals if not companions to the academic writing we teach. Some schools assign creative writing before assigning literary analysis. If a student can develop a character, create a narrative thread, or craft a symbol in personal writing, isn’t it that much easier for students to approach literature where they must analyze character traits, track a plot’s trajectory, or explicate the connotations of an image? — Writing prompts help our kids access difficult texts, from Twain to Shakespeare to Swift. Old school becomes new school when our kids realize that these authors grappled with very modern problems and timeless emotions. In some ways, not much has changed with humanity, and journaling can get our kids seeing that. How do we integrate this type of writing practice into the average class period, burdened as it is with other reading and writing tasks and the demands of pacing guides and standardized tests? — Opening & Focusing Activity. When students hit the door certain days, they can see their first task–that writing prompt on the board–to focus their thinking. Allow 7-10 minutes. This can be followed by a pair-share or a brief class discussion where students share thoughts. You might collect these journals randomly. — Anchoring Activity. This is a go-to assignment when students finish a task early in order to prepare for the two uses described below. Journal prompts can be listed alongside other tasks that students can pick up for ten or twenty minutes and return to at any time. They are particularly helpful when you have a range of abilities in your classroom and are trying to conduct mini-lessons with tiered groups, conference with students, and interact with several students within a class period. — Essay Preparation. These journals allow students to explore and experiment with a range of essay prompts before making a final selection. Students can contemplate the entire work just read and call up evidence in a more casual writing foray to see if they have enough ideas, supporting examples, and passion about the topic to commit to it. Assign at least two of these before students conference with you or before they identify their choice. This task also allows you to offer more than one or two essay prompts and give students a wider choice. — Pre-Socratic Seminar. Planning on an intensive discussion? Writing on the discussion topics before speaking aloud is important rehearsal for more retiring students as well as those who speak extemporaneously and fearlessly. — Homework. Journal writing on Big Ideas or creative writing prompts offer great homework options. Students are more likely to be alone and more reflective, and, after a busy school day, their minds are freer, rambling, and needing open expression rather than serious drill assignments. There are many other places to integrate prompts; these are just a few of the most obvious times to integrate them. — If you use hard-copy composition books, allow students to fold over pages of their journal that they don’t want you to read. I always say, “Please don’t fold over every page; I’ve got to read something.” This offer does make the journal the student’s domain first and foremost and encourage ownership. — Don’t spend a lot of time grading journals but do focus on whether students have done one or two of the following: offered specific and rich examples or discovered some interesting insight or interpretation. I usually give 10 out of 10 points, with one or two points deducted for poor effort. We know a half-baked journal when we see it. — Tell students that if they do tackle tough subject matter, such as personal dilemmas or crises, that you will feel compelled to assist them by referring them to a school counselor. If students hint at eating disorders, abuse, and other trauma in their lives, it’s impossible to turn our heads. The best reason for assigning writing prompts is getting to know your students better. I’ve formed better relationships and understandings with my students because of what they have shared with me in their journals.